The EVCC was a founding member of LESCAZ, the Lower East Side Coalition for Accountable Zoning, which worked to achieve more appropriate zoning that fits our neighborhood’s low rise scale. The EVCC commissioned BFJ Planning to study the zoning of the East Village in light of the inadequacies of the R7-2 code mapped across most of our neighborhood, unchanged since the last major revision of the City’s zoning code in 1961. 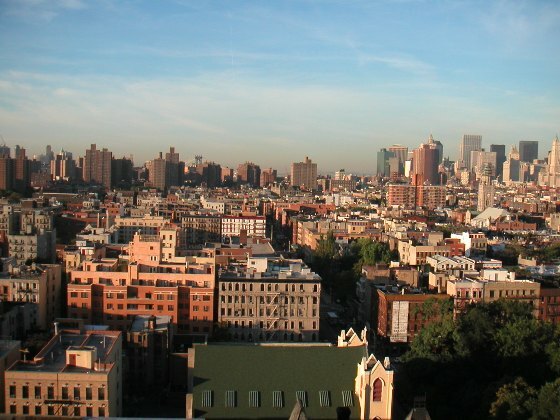 Rezoning the East Village: A Discussion Paper, was completed in June 2005. EVCC met with the Department of City Planning [DCP] and submitted our study to Manhattan Community Board 3. The study provided a catalyst for a zoning change widely desired across communities within CB3, establishing the 197a Plan Task Force, which worked with DCP on the Plan. The City Council approved the 111-block rezoning on November 19, 2008. Look back at the city’s initial 2006 zoning proposal. The EVCC works to support independent small businesses in our neighborhood to help maintain the diverse, unique community that has long thrived here and is essential for our future. Through community input and our Formula Retail Working Group, EVCC analyzed the current state of formula retail within the East Village. Our 2015 Preserving Local, Independent Retail report includes a set of proposals for limiting chain stores in the neighborhood through zoning reforms. The EVCC continues to press for any and all measures to support local independent business, and is working with CB 3 on a proposed Special District for the East Village.